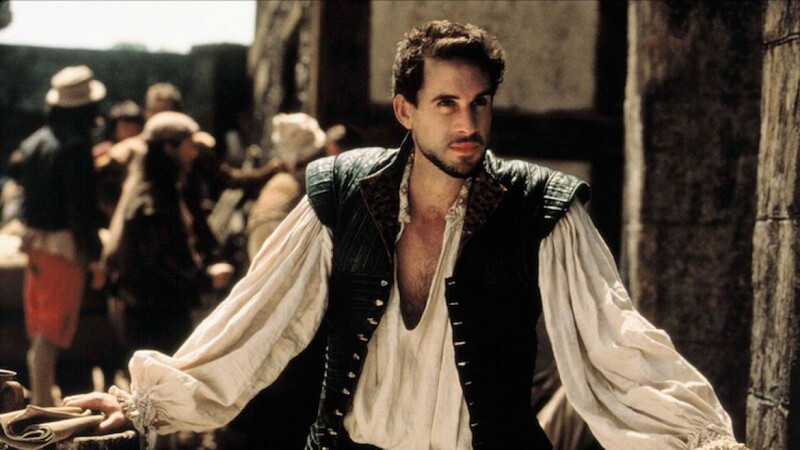 Home | News & Views | What films would Shakespeare be making if he was alive today? Over 400 years have now passed since William Shakespeare's death in 1616, but in that time, his work has never ceased to be influential - in particular when it comes to the world of film. Taking Shakespeare's plays and placing them into different worlds - with or without the original Shakespearean language - has long been a staple of cinema. The 1956 sci-fi classic Forbidden Planet took the story of The Tempest and relocated it to a distant planet in the 23rd century. Indie director Gus Van Sant drew heavily on Shakespeare's history plays (namely the Henry IV duology and Henry V) for his cult biker drama, My Own Private Idaho, and even Disney turned to Shakespeare for The Lion King, which was heavily based on Hamlet. Romeo and Juliet - arguably Shakespeare's most popular play - has been reinterpreted many times, most recently in the Nicholas Hoult-starring zombie drama Warm Bodies. 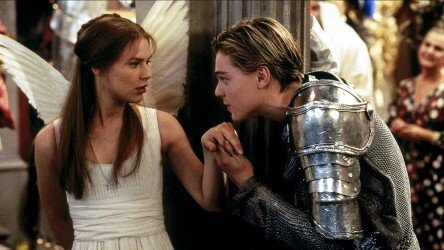 However, the most iconic example is Baz Lurhmann's hugely influential Romeo + Juliet, which took Shakespeare's text and placed it in contemporary Miami with a modern rock soundtrack to exhilarating effect. Many filmmakers adapting Shakespeare have chosen to relocate the stories to the world of American high-schools. Othello was adapted as O; The Taming of the Shrew was turned into 10 Things I Hate About You; Twelfth Night became She's The Man; and Get Over It was based on A Midsummer Night's Dream. 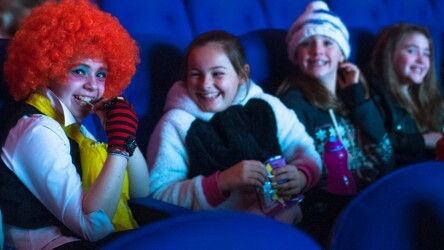 It is not difficult to see the attraction for filmmakers: not only does it make the world of the play easier for young people to comprehend and relate to, tapping into the universality of Shakespeare's ideas, but it also makes dramatic sense. School is a fairly unique space; full of a dizzying range of personalities and characters, in what can often be a very closed world and claustrophobic environment. Add in the heightened emotions that come with being a teenager, and suddenly relocating Shakespeare into a school setting makes a lot of sense. But what if Shakespeare were alive today? What kinds of films would he be writing? The Revenant feels very Shakespearean, with its primal themes of man's relationship to nature and a straightforward plot driven by one person's desire to avenge a heinous act committed on a member of his family. There are also the concepts of double-crossing, patriotism and loyalty that permeate Spielberg's Bridge of Spies. He might have been drawn to the true story of Spotlight, which uses its intimate setting and ensemble of relatable characters to painstakingly examine issues that take in enormous concepts such as religion, law, community and the media. And the heightened personalities, breaking of the fourth wall, and theatrical structure of The Big Short, with all of its themes of temptation, greed and corruption are bound to resonate. In fact, an issue such as the global financial crisis, or aspects of modern-day warfare, often bear uncomfortable parallels with what Shakespeare was writing about 400 years ago. Because as well as being an extraordinary linguist, Shakespeare was also driven by the need to be populist. Consequently, he might be tempted by the phenomenon of superhero stories. There are few more conflicted heroes in modern popular culture than Batman; the tortured soul, driven by a sense of duty. Captain America's story takes in notions of duty and betrayal, whilst his duel with Iron Man in Captain America: Civil War throws up questions around conflicted loyalties. The multi-stranded, ensemble style of the Avengers and X-Men films also resonate - particularly in the manner in which these films play with allegory and the complexities of good vs evil. And what of some of the classic Shakespearean themes? Where can they be seen in cinema? In the case of appearance vs. reality - a concept that appears frequently in Shakespeare - film is arguably a more powerful medium than theatre in toying with this notion, given the camera's ability to create tricks and illusions to toy with an audience. Hitchcock's classic obsession drama Vertigo; Spanish identity thriller Abre Los Ojos (Open Your Eyes); reality TV satire The Truman Show; mind-bending sci-fi The Matrix; and gender-bending thriller The Skin I Live In all draw on elements of the modern world that it is easy to imagine Shakespeare writing about. Shakespeare was also hugely interested in notions of betrayal, so might have been drawn to the story of the founding of Facebook and the tragic flaws of the character of Mark Zuckerberg in The Social Network. The concept of madness also appears in several of Shakespeare's plays, and the heightened reality and paranoia of a film like Black Swan; the claustrophobic domestic conflicts seen in The Shining; or the terrifying visions of a man convinced of impending apocalypse in Take Shelter are all films that powerfully bear that hallmark. The concepts of ambition and corruption are similarly rife, and are dominant forces in such films as There Will Be Blood, Whiplash and German title The Wave. It is easy to imagine that he might also be interested in dramatising the demonic life of despot Idi Amin with a film like The Last King of Scotland. And what discussion of Shakespearean themes would be complete without the notion of doomed love. Seen on film countless times, the universal anxieties associated with such brief, intense and tragic young romances can be found in Brokeback Mountain, My Summer of Love, Moulin Rouge and even Titanic. Even beyond these broader themes, the influence of a number of Shakespeare's evocative characters can be found right across popular culture. Figures such as Lady Macbeth, Hamlet, Richard III, Iago, Henry V, Ophelia, Caliban and Falstaff loom large in our consciousness, with Shakespeare's interpretations often overpowering any genuine biographical information. Keep an eye out for variations of these figures when watching some of your favourite films - you might be surprised how frequently they turn up! As a mass medium that examines universal issues, it is easy to speculate that Shakespeare would indeed have been writing for the screen, rather than the stage, were he alive today. 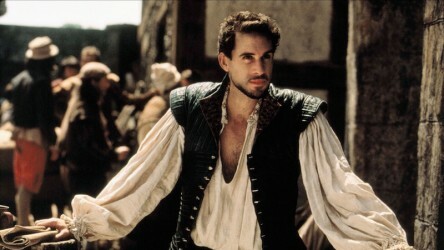 We will, of course, never know for sure, but even a short examination of some of our most popular and provocative films reveals that Shakespeare's influence can be found everywhere, overtly or otherwise, and that the characters, stories and themes which he drew out 400 years ago remain relevant to the modern world today. 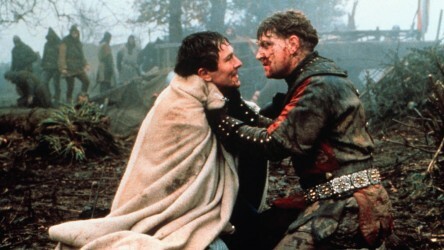 Delve further into the world of Shakespeare with our podcast, where we discuss adaptations of his work on screen including The Lion King, Shakespeare - The Animated Tales, Henry V (1989), Romeo + Juliet (1996), Macbeth (2015), and My Own Private Idaho.